Having the right tools for creating, editing, and printing documents on the go can help businesses stay productive, even when workers are out of the office. Creating and editing documents can be done on most smartphones and tablets, but printing presents its own set of challenges. A portable printer can come handy in some cases, but portable printers don't always guarantee high print quality, speed, and convenience. Online printers can be a better solution for mobile printing. Online printer services enable you to initiate printing tasks remotely provided there is an internet connection. Let's look at the best 5 online printers on the market to find out which one best suits your mobile printing needs. 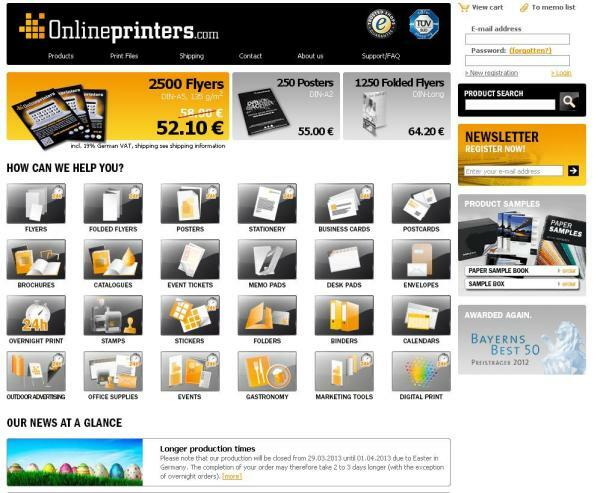 Onlineprinters is an easy-to-use service that lets users place printing requests and upload different types of files for printing. Files are normally uploaded in PDF format when making the printing request, which ensures printouts are of high quality and the formatting is retained. You can print literally any type of document, including flyers, leaflets, posters, letterheads, postcards, calendars, stickers, catalogs, envelopes, and many other types of regular office documents. 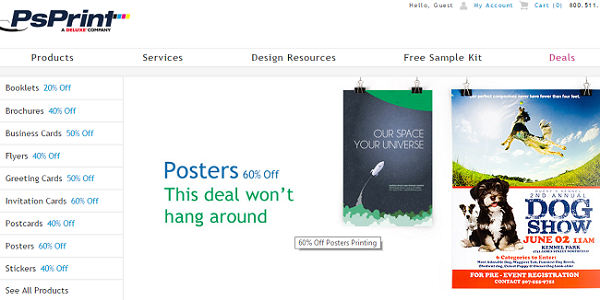 You can also print large-format materials such as flags, signboards, roller banners, and marketing materials. 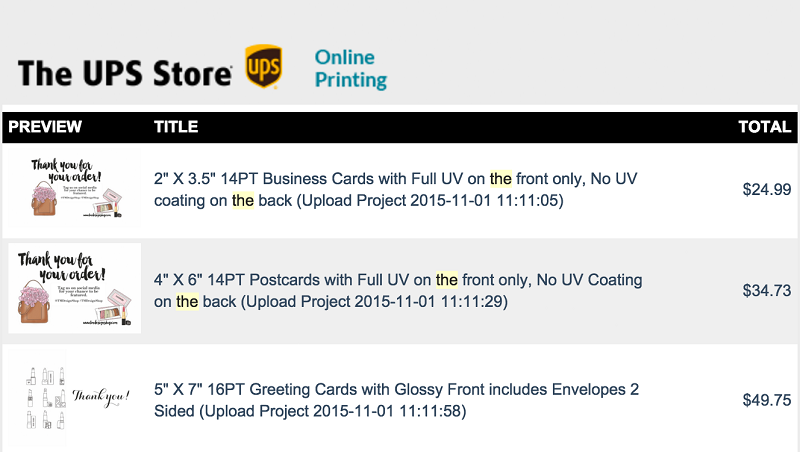 Once the print request is made and payment has been sent, Onlineprinters will typically print and ship the printouts right to your address. The UPS Store is another useful online printing service that lets users print remotely without a printer or special printing app. Users can simply upload their designs and request printing, which is beneficial for businesses with large printing tasks. You can print business cards, brochures, flyers, manuals, presentations, and other common office document types. Plus, this service gives you a rich templates portal for designing and publishing your documents, which reduces the amount of work on your end. Uprinting is another online printing service that offers a wide variety of printing products for small and medium businesses. You can use the service to print postcards, flyers, brochures, banners, documents, business cards, and other important office documents. Plus, Uprinting offers free proofreading and spell checking services for its users, which helps avoid errors and typos when printing in bulk. It is also one of the fastest services, with a 24-hour turnaround time for average workloads. 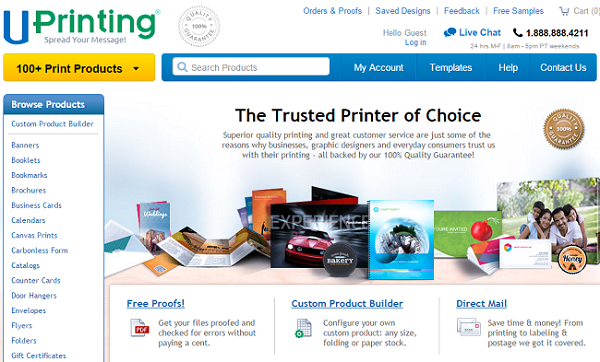 PsPrint is one of the oldest online printing services in the business. You can use their services to print the usual range of items, including marketing materials such as flyers and brochures and office documents. PsPrint also prints on special items such as coasters, pocket folders, and magnets, which makes them a bit of a niche product. 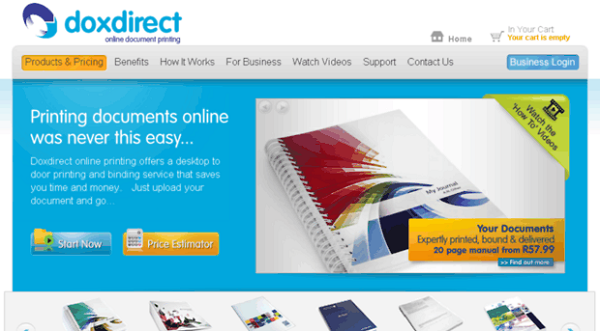 Doxdirect is a simple and straightforward service for online printing that lets you print everything ranging from university dissertations to corporate brochures and marketing materials. Users can upload Microsoft Word and PowerPoint files, in addition to the regular PDF file uploads that are allowed by most online services. You can also request for binding services while making your online printing order. Doxdirect also comes with another cool service called the online Cover Designer that lets users design their own covers on their browser for free. Prices start at £3.31 for a single-sided print in black ink, including shipping. 1. If your printer has both wireless and wired connections (Ethernet), you can connect to the network at home or at the office for both Mac and Windows computers. For printers with a wired connection, simply insert the Ethernet cable from your printer to an open port on your router or switch. For wireless printers, choose your network's SSID, insert the password, and wait until the printer connects to the network. 2. Once the printer has been added to your network, you can add the printer to your device for online printing. On your Windows computer, navigate to Start Menu > Control Panel > Devices and Printers > and then select "Add Printer". 3. Select "Add a network, wireless or Bluetooth printer" and then select and install your printer from the list of network devices. 4. For Mac users, ensure your printer supports Bonjour or AirPrint. Navigate to the Apple menu > System Preferences > Print & Scan. Here, click and hold the "plus" sign at the bottom until your network printer appears. Click "Download & Install" when it appears to install the printer. You should be able to use your printer within your local network. 5. If you want to access your printer on the internet, you can use services such as Google Cloud Print to print wirelessly. You can also print online by adding your printer to a VPN, and then accessing the VPN to use the printer remotely. A good PDF creator and editor will ensure your printouts come out looking good and ready for professional use. PDFelement will do that and more. With multiplatform support, PDFelement will let you create, edit, and print your documents from your Mac or Windows computer and also from your iOS smartphone or tablet. It also lets you work with forms and scanned files that can be easily modified, thanks to integrated OCR. PDFelement also gives you the ability to collaborate with peers before printing. You can add annotations, markups, highlights, comments and share the documents via the cloud for collaborative editing. If you are looking to convert your documents, simply import your document(s) into PDFelement and convert them to or from Word, Excel, PowerPoint, image files, or web page files quickly and easily on PDFelement.